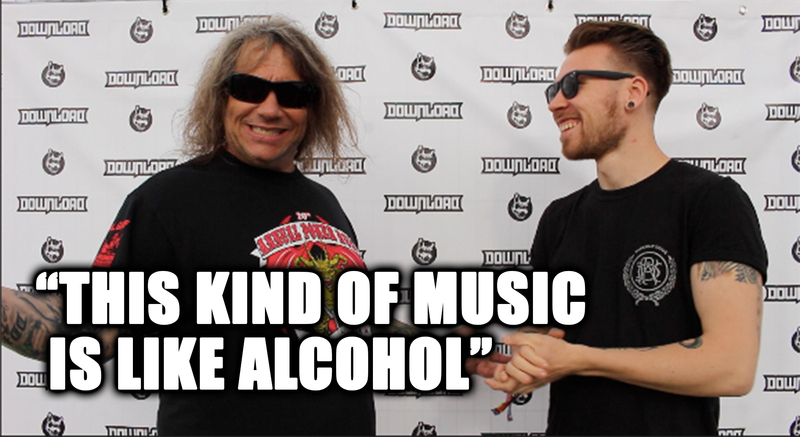 Home » Interviews » DOWNLOAD 2017 – HOW HAVE EXODUS NEVER PLAYED DOWNLOAD? DOWNLOAD 2017 – HOW HAVE EXODUS NEVER PLAYED DOWNLOAD? For the seasoned Thrash fiend, you’ll no doubt be well acquainted with the sounds that are in part responsible for some of the craziest Bay Area Thrash anthems ever. Known just as well as their metallic counterparts, Exodus are just as vital in the world of Metal as the likes of Metallica. I mean, the lead guitarist Kirk Hammett began his Metal career in Exodus! So why is it that the band have never played the hallowed ground that is Donington? What might have been the first time in over five years, the sun graced Donington for three whole days this Download Festival. It was hard to believe but as the shades slowly came out the atmosphere in the Download camp was one of slight bemusement. Not only in part due to the historic arrival of our great light bearer but to the revelation that Exodus would be making their Download debut this year! Currently waiting with baited breath to get back into the studio to pick up where Blood In, Blood Out left off, the band are chomping at the bit to get back into the seat. Claiming their rightful place on the Thrash Metal throne, anyone that was in the Dogtooth stage will know what I mean as they performed an absolutely blistering set but before that Steve “Zetro” Souza very kindly had a quick chat about teaming up with Obituary and their brand new album. I also found out his impersonation of the British is spot on! Golly gosh!